Crazy, bully and anti-Semitic are just some of the insults Rep. Lee Zeldin is trading with Rep. Ilhan Omar following their appointments to a key U.S. House panel. Zeldin (R-Shirley) on Twitter Wednesday called the naming of Omar to the Foreign Affairs subcommittee “crazy.” Omar (D-Minn.) became one of the first two Muslim women elected to Congress last fall and is the only one to wear a hijab. Zeldin is the lone Jewish Republican in the House. 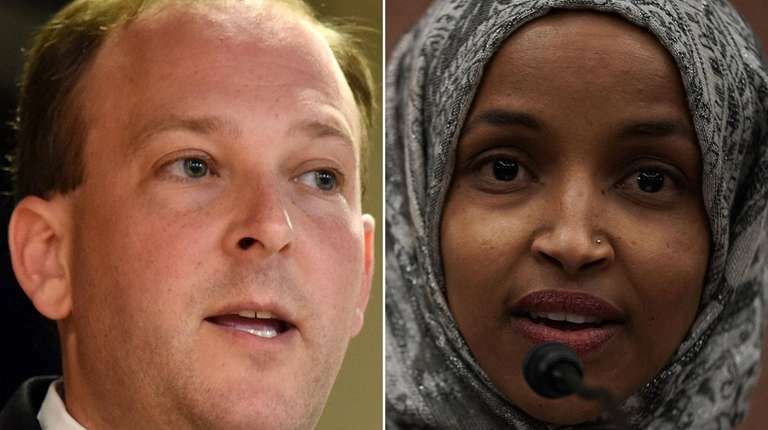 Zeldin has called Omar, a Somali-American, “anti-Israel” and “anti-Semitic.” His aide said that was in reference to several issues including, Omar’s support for the Boycott, Divestment and Sanctions against Israel. Zeldin responded later, suggesting Omar supported terrorist organizations.